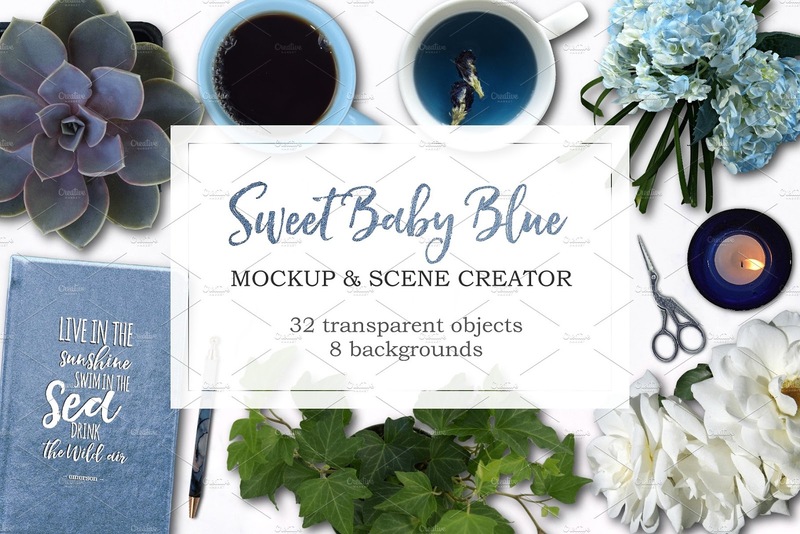 Sweet Baby Blue is a desk scene creator filled with flat lay photography in shades of blue. You'll find book covers, tablet, smartphone and more. Embellish your gorgeous desk with blue hydrangea, wild roses, blue succulents, blue accessories, coffee and even blue tea. Includes the accessories that belong on every creative's desk - pencils, pens, notebooks and more.